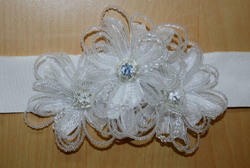 *Size Belt Wide 3cms., Length 89cms. & Buckle Length 3.5cms. & *wide 3cms. 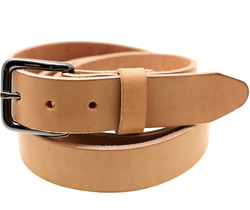 Our leather belt is made by pure grain leather. We are foremost organization, actively occupied in providing a wide range of Black Reversible Belt. We have marked a noticeable position in the market by presenting a premium quality of Stylish Costume Belt to the valued clients. With rich industry experience & knowledge, we have been able to provide the best array of Designer Leather Belts. Since we have established our base in this highly competitive industry, we are readily engrossed in the arena of presenting Brown Belt. We make and offer various types of Ladies jut Belt , brass metal , stone studded, beaded, hand embroidered, shell work, glass, bone and horn beads. etc. we also make customs designs as per buyer's requirements. In order to keep pace with never ending demands of clients, our company offers Designer Casual Belt.